Health law is the federal, state, and local law, rules, regulations and other jurisprudence among providers, payers and vendors to the healthcare industry and its patient and delivery of health care services; all with an emphasis on operations, regulatory and transactional legal issues. It has been a busy autumn for the enforcement of health care privacy rights. Recent activities range from settling the claim for the largest HIPAA violation in US history, to penalties imposed for filming TV shows, to actions initiated by state governments. All of these actions confirm the serious position taken by regulators nationwide to protect the privacy of protected health information (PHI). On October 15, 2018, Anthem, Inc., an independent licensee of Blue Cross, paid $16 million to settle its claim with the HHS Office of Civil Rights (OCR), for a breach that compromised the PHI of 79 million people. This was the largest reported breach in history. The PHI breach occurred in 2015, when hackers initiated a “spearfishing” attack via fraudulent emails. The government found that Anthem lacked appropriate information system procedures to identify and respond to security breaches, and minimum access controls to stop these kinds of attacks. In addition to the financial penalty, Anthem agreed to a corrective action plan, in which it agreed to perform a risk analysis, and incorporate the results of the analysis into its existing processes, in order to achieve a “reasonable and appropriate level” of HIPAA compliance. Medical web-based businesses have been on the rise, while the number of HIPAA enforcement actions by the US Department of Health and Human Services (HHS) has risen exponentially as well. Since the beginning of this year, HHS has announced several large settlements with companies that failed to comply with HIPAA Compliance requirements. For example, in January, HHS announced a $2.2 million settlement with a health insurance company when a breach resulted from a stolen portable USB device containing PHI. Also, In February, HHS announced a penalty of $3.2 million against a medical center for a breach that arose from a theft of an unencrypted laptop containing PHI. This enforcement activity is becoming the norm, so it is best to ensure that your medical website is legally compliant. HIPAA Compliance: Docs, You’ve Been Hacked. What’s Next? Healthcare providers have heard the HIPAA disaster stories: a laptop containing patient information is left on the counter at the coffee shop; a thumb drive with patient files goes missing; a rogue employee accesses patient information she has no business accessing; hackers get into a practice’s server and hold the patient information for ransom. 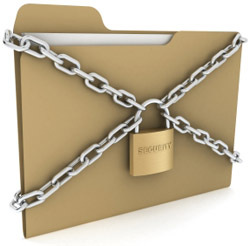 HIPAA is a federal law designed for safe disclosure of patient’s protected health information. The news headlines showcase giant penalties for violations. However, Florida healthcare providers should also know that Florida has its own consumer protection statute, called the Florida Information Protection Act. So while you’re busy worrying about your HIPAA exposure in any of these situations, remember that there is potential State exposure as well. It is becoming easier and easier for physicians to communicate with each other and their patients. And although open communication is generally thought of as positive, the medical profession should proceed with caution. Patients and consulting physicians rely heavily on their communications with their treating physicians. Thus, communications which do not require the thought of focus that a physician would otherwise give to a situation may result in disaster. While there are many potential ways a physician might use text messaging and social media both professionally and personally, we will focus generally on physician interactions with other physicians, and physician interactions with patients. 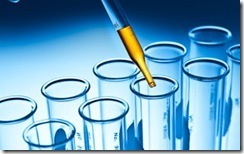 Fall 2014 HIPAA Audits: Is Your Business Ready? Section 13411 of the HITECH Act authorizes and requires the Department of Health & Human Services Office for Civil Rights (“OCR”) to provide for periodic audits to ensure that covered entities and business associates comply with the HIPAA Privacy and Security Rules. OCR conducted its first round of those audits in 2011 and 2012, and has announced that it will begin a second phase. Unlike the first phase of audits, which were limited to covered entities, both covered entities and business associates are intended to be audited during this second phase. How will audited businesses be selected? Many health policy experts are betting on the expanded role of telemedicine as an essential cost-saving, quality (and access) enhancing tool. Yet legal and policy issues have dogged the development of useful telemedicine guidelines, making it difficult to know what’s ok and what’s not. 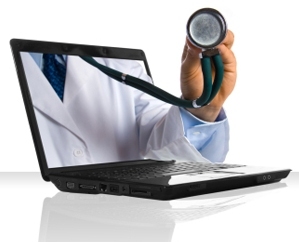 What sort of licensure is required for physicians practicing telemedicine? When is the physician “practicing medicine” vs. “merely consulting?” When is a physician patient relationship established? Is one even necessary? The newly developed model policy developed by the Federation of State Medical Boards should help guide states in developing specific telemedicine standards. The Department of Health and Human Services announced this morning that it has entered into a settlement agreement with Parkview Health System, Inc., an Indiana medical group caught up in HIPAA violation case. Parkview was assisting a retiring physician to transition her patients to new providers. Parkview was also considering purchasing some of the physician’s patient records. When Parkview attempted to return between 5,000 and 8,000 patient records to the physician, she was not home to accept their return. Parkview employees left cardboard boxes containing between 5,000 and 8,000 patient medical records outside of the physician’s home, and within twenty feet of a public road. In settlement and release of HHS’ claims against Parkview for such a HIPAA violation, Parkview agreed to pay the Department of Health and Human Services $800,000 and enter into a Corrective Action Plan. The entire Resolution Agreement between Parkview and HHS is available here. Until recently, the State of Florida has successfully avoided regulating telemedicine to account for advancements in technology. In 2003, the State issued standards for telemedicine prescribing practice for medical doctors and doctors of osteopathy, but has not formally revisited its position in light of increasingly common telemedicine practice in several states – until now. In an effort to help individuals access their health information so that they can become more actively involved in managing their own health care, several agencies within the Department of Health and Human Services promulgated a rule that modifies the Clinical Laboratory Improvement Amendments (“CLIA”) and the Health Insurance Portability and Accountability Act (“HIPAA”) in a way that supersedes Florida State laws governing the disclosure of laboratory test results directly to patients. The Florida Healthcare Law Firm specializes in healthcare law with substantial legal experience covering a wide range of issues faced by doctors, clinics, nurses, hospitals, treatment centers, physician groups, and surgery centers, imaging centers and medical staffs. To schedule a no obligation free consultation with an accomplished healthcare law advocate, please fill out the contact form, or call the office toll free at (888) 455-7702.